There has been a lot of talk in the real estate industry lately about a few agencies deliberately under-quoting potential buyers. But just how prevalent is this illegal technique and how does it affect you? A buyer’s agent is someone that acts as a middleman between property buyer and the real estate agent. In the market, sellers are eager to close out the deal with the highest price possible for any given property while buyers need to lock down the price at the lowest possible. If a property seller needs a selling agent (usually the real estate agent) to help them sell the property at the highest price possible, a buyer may hire a buyer’s agent that will help act as a middleman between both parties and negotiate for the lowest price possible, or at least reach a compromise between buyer and seller. Those real estate agents who intentionally aid offshore buyers in bypassing new rules may face stiffer penalties, says James Mitchell in an article for the website Real Estate Business. The parliamentary report placed by the House of Representatives Standing Committee is 119 pages long and offers 12 recommendations which include civil and criminal penalties for lawyers, accountants and agents helping foreign buyers cut nefarious deals. The recommendations also talk about keeping the penalties proportionate to the price of the property thus creating a better deterrent. No game is short of its share of villains and the great game called the property market also has its fair share of real estate agents who ply their trade dubiously. In an article for the website Smart Property Investment, Stefanie Garber talks about how they conspire along with the sellers to inflate prices of the properties. “But you see I am trying to look beyond you; it’s just that you are “clever as a devil and twice as pretty”. Are these the lines going through your mind when you meet a hot property agent looking to fix a deal with you? An interesting (and I am not using the term ‘interesting’ loosely) article on the website news.com.au suggests that attractive looking agents sell houses faster and for higher prices. Rob Balanda for the Property Update advises how buyers should act if a real estate deal fails being closed on its intended date of settlement. In cases when you do not show up on the property settlement date, sellers get one-up on the buyers and often quote a higher price (let us say $100,000 more than the agreed amount). Buyers give in, fearful of the Breach of Contract nightmares. However, the best way to go ahead is to engage your solicitor. Let the seller or his solicitor know about the delay (and purely banking reasons for it). In the event of their asking for a higher sum, politely refuse citing paucity of cash. Do so over phone rather than through a letter. If they do not agree,lure them with the ‘deposit’ bait. Tell them that you are ready to free the deposit amount right then instead of paying at the time of settlement. If they act fastidious, go one notch higher on negotiation- tell them that you are ready to increase the deposit amount (do not increase the amount more than the penalty they are seeking, in this case less than $100,000). Your solicitor will invariably take care of the situation and you won’t need to cough up a higher purchase rate. Open Home has done rather well as a procedure that draws prospective buyers towards residential listed properties. However, the fun component begins when you turn the open homes into a kind of an event, may be a complete carnival. 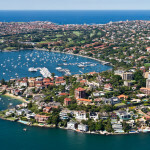 Steven Cross for the Real Estate Business writes that top agents have found open homes to be quite a show. Property Styling – aka Is This For Real? Virtual styling or property styling is the new phenomenon of the real estate market, quite a shrewd piece of thinking by the sellers really, but a little unethical if you look into it. An article on the Australian Property News describes how stylists help vendors beautify their homes with “virtual furniture” for showcasing them to prospective buyers. A real estate agent or a realtor is nobody’s friend. In virtually any case, barring an exception, he acts in his own interest. Though we may be influenced to think otherwise, the above statement happens to be a fact. Rob Balanda for the Property Update asserts that there is no guilt involved in acting in one’s own interest and the entire globe runs on the same philosophy of “me first and then the world”. The agents can certainly help many buyers and sellers in the way despite following the Me-First philosophy. In a recent article for the Property Observer, Terry Ryder talks about print media advertising for real estate agencies. He cites the example of a Melbourne based agency that decided to stop all printed newspaper advertising. In their words, advertising in newspapers is somewhat “Jurassic” in nature. Have you tried looking for a 4 bedroom apartment in Double Bay using a printed newspaper recently? The question of many is that why has it taken so long for such agencies to actually realise the importance of online marketing for real estates as opposed to newspaper ads. There are a few real estate agencies that have been doing their advertising online for around 10 years now. These days, clients are becoming outraged that some agencies still charge them a huge amount of money for advertising. There are speculations that some agents get a commission for every ad that they refer to a newspaper company. If you also notice, it is usually the real estate agency’s own logo that is most prominent, rather than your home that they are trying to sell. So the agency really gets free advertising using your money. By doing online marketing, it is easy for buyers to filter the property that they are interested in. They can filter location, price and type of property. Not only that, most people these days would like to browse through pictures of the property first and save a lot of time and energy. No longer will they have to visit each property to have a good look. So, if a real estate agent advises you to spend tons of money for newspaper advertising, I agree with Terry Ryder: kick this agent out and hire a new one.